With over half of the world’s population online, you have the chance to reach a huge range of customers across the world. Whatever service you provide, it is almost guaranteed that the clients will look online before anywhere else to decide which service provider to use. With this in mind, you can’t afford not to have an online presence. However, it is essential your online presence will impress your potential customers and draw them in. For this, you need impressive website design. For small business having an internet presence has meant extra work, extra expense and extra skills to learn and master. Running your business now needs essential elements of internet marketing, but don’t worry if this isn’t your expertise, just make sure to include these five essential elements to make your business stand out from your competitors. While arty and unusual designs may work well for certain companies, it will mean nothing if your customers can’t find the information that they are looking for. Similarly, it is worth bearing in mind that accessing the internet on mobile devices has exceeded that of desktop use, so make sure that your website is compatible with all devices so all your customers can experience your site at its best. Most people will only read the headline of your website; it is predicted only 20% will read any further, so you need to make sure your site headline stands out and best portrays your business. Does your message get across clearly? Is it clear what service you offer? If you’re not sure, conduct a blink test. Look at your website for a second and close your eyes, did you get all the information you wanted but at the same time could you capture everything on the page? The key is to be concise and use imagery to help convey your message; pictures are much quicker to process. Your website should clearly communicate your brand and match your other marketing methods. Consistency is key, from your colour scheme, logo, font and writing style. 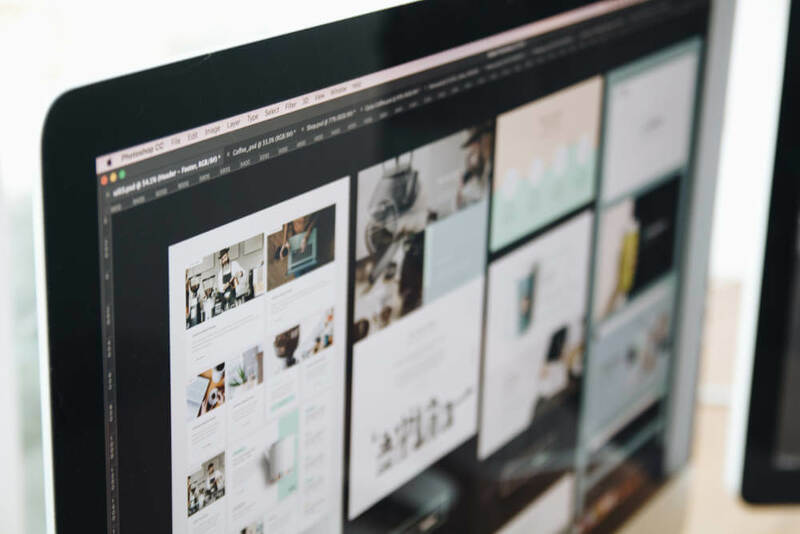 For existing customers, your website needs to feel familiar, and for new clients, your site should give a clear impression of what your business is all about. It is important that you carry the feel of your brand and home page across the rest of your website. It is wise to spend more time and effort creating a great homepage that draws customers in, but make sure all the other pages have the same feel and design. With website design, less is often more. A simple website will be clean, easy to navigate and quick to load. Don’t feel that you have to include lots of quirks and special features. If all the fancy features don’t work or take an age to load, then you’ll leave your customers disappointed, and they’ll quickly close the page. You only have three seconds to make an impact, make sure those seconds aren’t buffering time. Your website is your chance to attract millions of customers and grow your business, allowing it to reach it’s potential. You need to make sure your site isn’t a run-of-the-mill page that looks the same as your competitors. Like all aspects of business, think about your unique selling point and transfer this across to your website. What can your website offer than your competitor’s site can’t? If you want advice on how to improve your website or grow your online presence then get in touch today for friendly advice and support so you can grow your business and create profit. Call our helpful team on 08007720022 for more information.